This guide is intended to be used as a supplement to your weekly data collection and as a way to engage students with their project throughout the school year. The lesson plans in this curriculum guide have been diligently created by past Project EXPLORE teacher participants. The lessons are correlated to the NC Standard Course of Study for grades K-5. 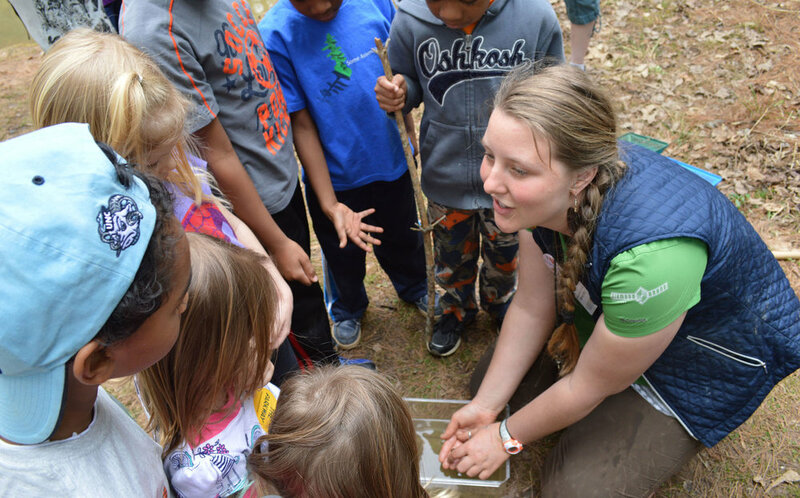 This guide can be used by Project EXPLORE participants, as well as by other educators who are looking for activities to connect to students’ outdoor observations. This curriculum was created over one year by meeting with Project EXPLORE teacher participants and developing and gathering lessons and resources to support your students Project EXPLORE research throughout the year. Have a lesson you love? You can submit it to the ever-growing curriculum guide! This guide, in conjunction with the Project EXPLORE mini-grant, serves to aid teachers in increasing students interest in nature, science and science careers, as well as making science more accessible to all while reinforcing concepts and providing opportunities for children to take part in the scientific method and make positive change.